ADRIANNE Palicki knew she had a tough task ahead of her when Seth MacFarlane recruited her for his space adventure series The Orville. Not only would she be sharing scenes with some of the funniest people in Hollywood, but the Ohio native would be playing a character first introduced in a compromising position. The GI Joe:Retaliation star plays Cmdr Kelly Grayson, the ex-wife of MacFarlane's Captain Ed Mercer who, in a flashback in the first episode, is shown cheating on him with a blue alien (played by an almost unrecognisable Rob Lowe). "I thought to myself this is hilarious and if I can get the world to like this character after this, then I'm doing a good job," she says. "We were really lucky to get Rob in that role. I've slept with Rob Lowe more than once (laughs). "I think you come around to Kelly and see that she really does love Ed." Set 400 years in the future, the series follows the human and alien crew of The USS Orville, a mid-level exploratory spaceship, as they face the wonders of outer space as well as the problems of everyday life. "The thing about this show that I love is although it does take place in space it's about the characters and the missions they're on," Palicki says. " Yes they're on a spaceship... but it could be on a boat or a plane. "I think people were really shocked by it (when it debuted last year) because they expected a mainstream comedy. I has drama and comedy; it's its own entity." Working with MacFarlane - the wickedly funny creator of Family Guy, American Dad and Ted - is an exciting challenge for Palicki, best known for her roles on Friday Night Lights and Agents of SHIELD. "What people have to understand is that he's a perfectionist," she says. "The way he says a line is very important for him because he's a music guy. I've never worked with anyone quite like him. That brings challenges as well as motivation. We motivate each other, which is lovely. I know the drama world more than he does, so he's fallen on me for some of that and I've fallen on him for comedy." 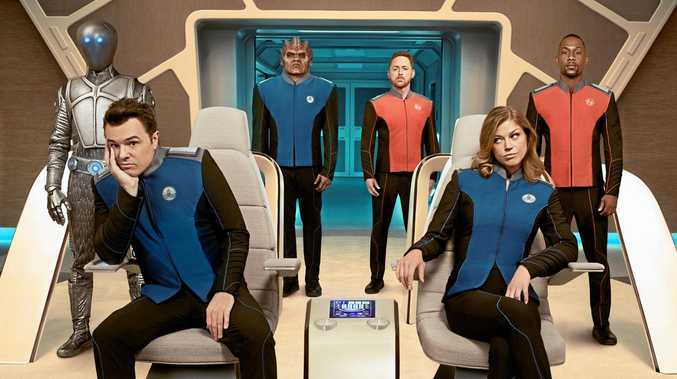 In season two, the ship's crew will make first contact with a new civilisation, revisit the planet Moclus and Ed and Kelly's relationship will take a new turn. "Things are going to get more and more intense," Palicki says. "There will be some relationships going on on the ship. I can't say who or how, but there will be some love blossoming." 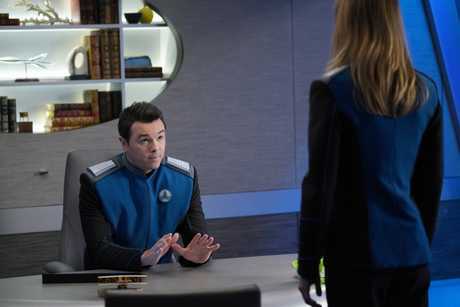 Season two of The Orville premieres on SBS On Demand from Monday, December 31 at 12.01pm Qld, 1.01pm NSW and on SBS Viceland on Friday, January 4 at 9pm.